A recent publication from the Mayo Clinic created a lot of buzz regarding the use of Unmanned Aerial Vehicles (UAV), or drones, in medicine. However in reality most of the drones being used or tested in the US are for things like aerial photography, small package delivery, and surveillance! While several corporations have been quick to expand existing applications and test new adaptations, the non-profit medical community hasn’t been as engaged—not one of the 137 granted exemptions on the FAA website even refer to medicine! As a result, the medical community is lagging in the investigation of drones. And potentially even one day deliver telemedicine. No single person or medical center can translate these ideas into practice alone. Fortunately, Americans have an amazing sense of innovation and entrepreneurialism that’s likely to fill the void. Some backyard inventor with a drone will make it happen! They will pave the road—or the sky! But that doesn’t mean medical professionals can sit on their hands. We need to collaborate with entrepreneurs so that drones can help us better meet the current, and future, needs of our patients. 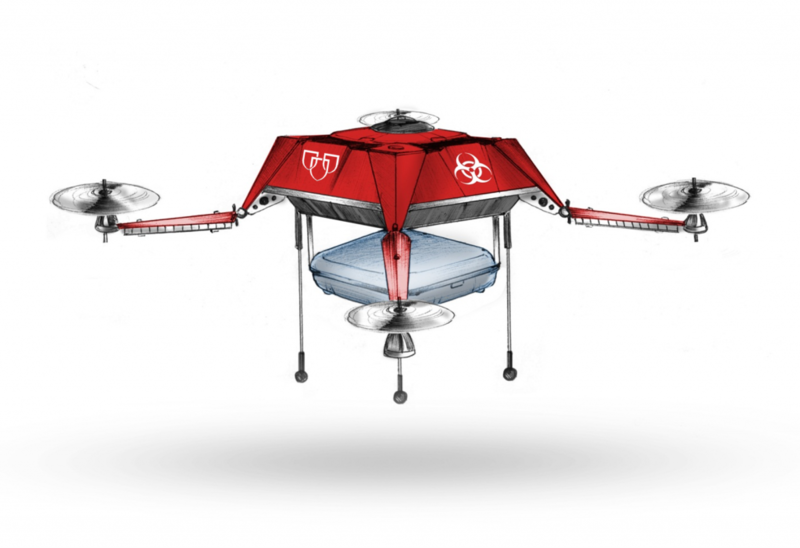 Disclaimer: I admit there are many of limitations and hurdles that must be overcome before UAVs can be used in the medical field, and that many of the ideas above may not be feasible. However, my goal is to bring the conversation about drones into the healthcare field, and hopefully spur research and innovation into how they can best be used. So despite the optimism we are not ready to launch UAVs from our hospitals rooftop anytime soon—but that doesn't mean we shouldn't be exploring the possibilities! Opinions expressed above are my own.